There, you can see photos from the 1970s and 1980s and even earlier that you won’t see elsewhere showing how this city, now with close to 8,000 residents, has so radically changed. 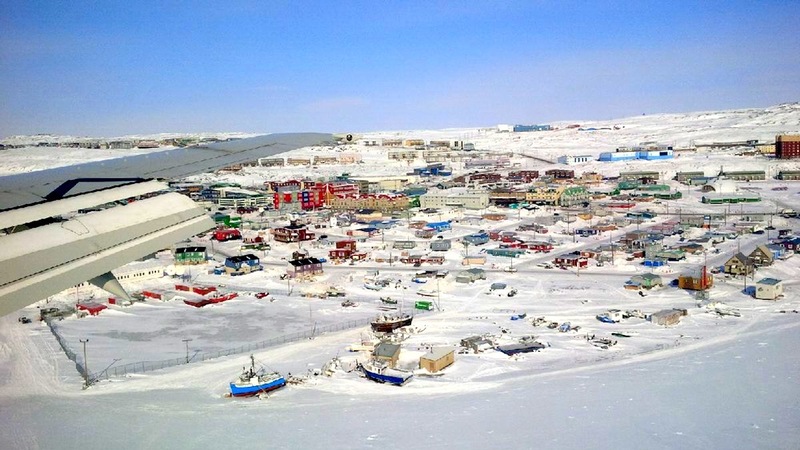 But you can only appreciate these photos if you have lived or stayed in Frobisher Bay, now known as Iqaluit. So, for those of you who haven’t visited Iqaluit or are planning to come, or will never come due to the cost and distance of the trip, or who are simply tired of Arctic ice photos, I plan to post photos to give you glimpses of the city during the coming month — usually the best period of the year for outdoor photography thanks to the sun and snow. 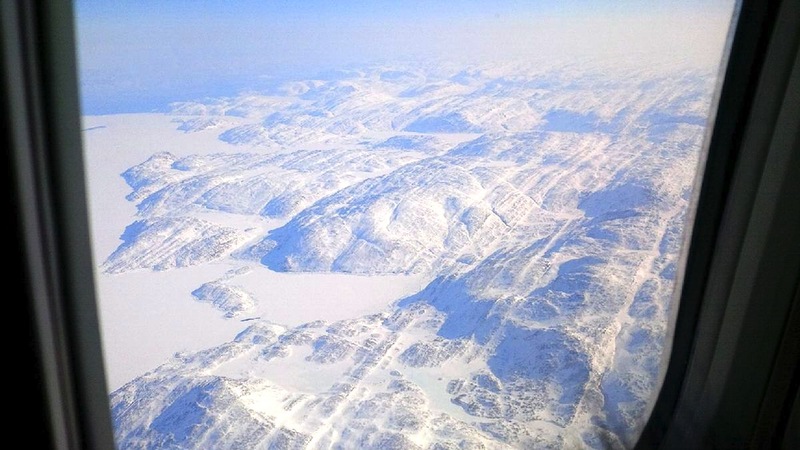 Flying in from Kuujjuaq in Nunavik, in Quebec, about an hour away by jet, you could see easily see the land below; there was not a cloud in the sky on March 27. And I was fascinated by the view through my window of lines in the snow-covered rocky slopes below me. Sitting on the right side of the jet, I was able to get a great look at Iqaluit as we approached the airport. Actually, everything appears better from this altitude and at this time of year when the snow makes everything look clean. And if I had been seated on the other side of the aircraft, I would have been looking down at the dump. 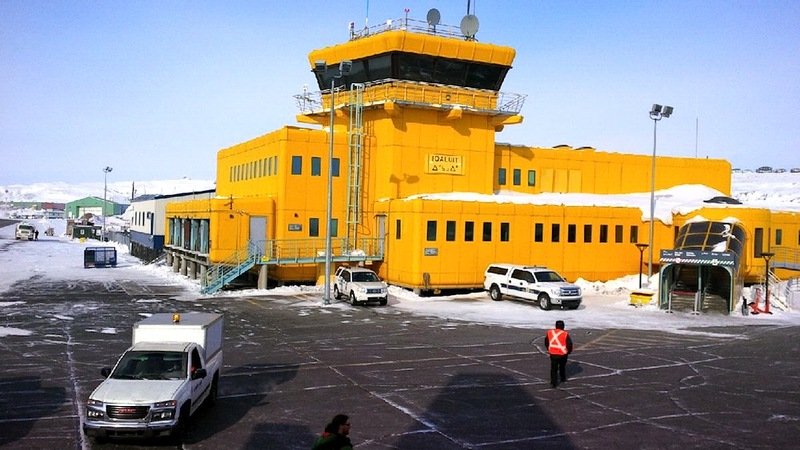 After landing, I took a photo of Iqaluit’s “yellow submarine” airport when I walked out of the plane. Just because it looked bright and cheerful, and because, for once, it was warm enough to take my mittens off to take a photo. In my previous blog post, you read about Arctic domes. Well, you won’t see any of these in my future posts about Iqaluit, because the domes of Iqaluit have all been torn down, but I’ll show you some more of today’s city and its other strange buildings. 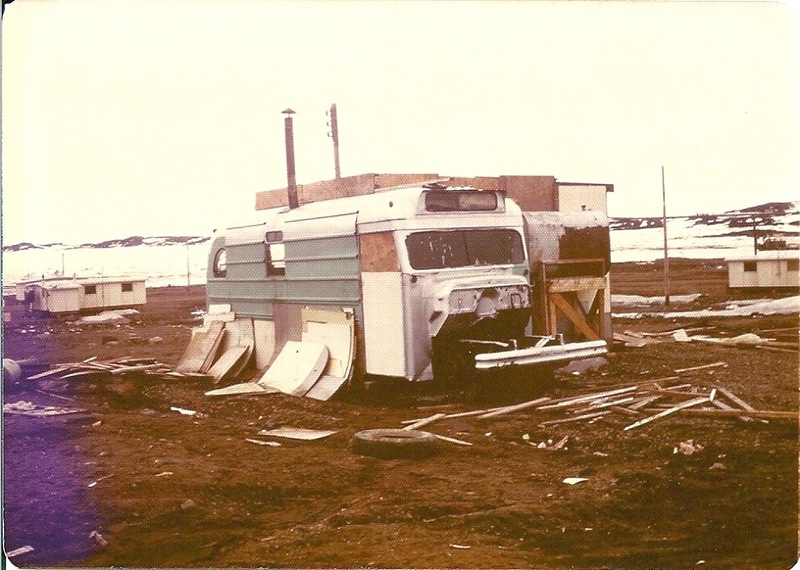 Everything is pretty new, so you won’t see anything like the bus-home that I recently saw posted on that Frobisher Bay Facebook page and which is long gone…. Dwelling like this one from a Facebook page on Frobisher Bay, now Iqaluit, are a thing of the past. Curious about the Canadian Arctic of the 1990s? You will want to read my “Like an iceberg” series. You can find all the links here.